Doodle3D, based in The Netherlands, is working on their second crowdfunding campaign on Kickstarter. 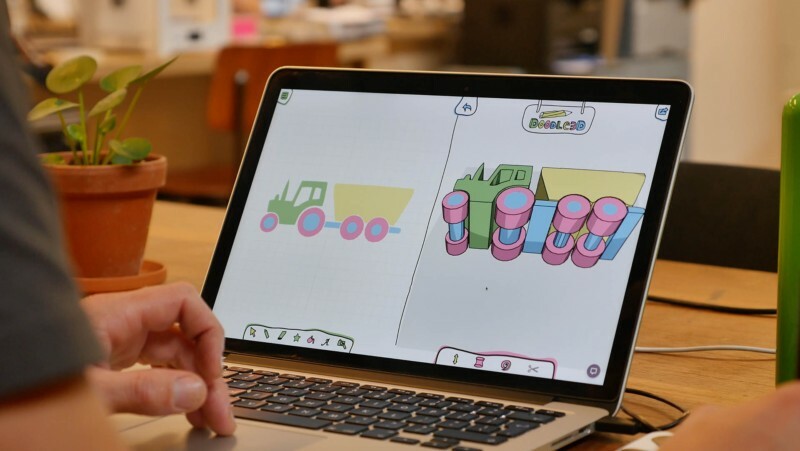 They are launching their new 2D-to-3D design app called Doodle3D Transform, which makes 3D-design and 3D-printing childsplay. The campaign runs until the 21st of October and has currently achieved 50% of its target. In the application, simplicity is key. What makes it stand apart from the many other 3D design applications, is the fact that the user designs 3-dimensional shapes based on flat (2D) drawings. Because of its accessibility, anyone can use the app to create their ideas, no matter their age or background. Doodle3D Transform runs on Android, Apple and Windows tablets and computers. Designs can be 3D printed with your own 3D printer, or by using one of the many 3D printing services. The Doodle3D WiFi-Box, which was successfully funded on Kickstarter in 2013, can be used to wirelessly print your designs. For more information visit www.doodle3d.com. Dieser Eintrag wurde veröffentlicht in Crowdfunding, English, Fun, General und verschlagwortet mit 3D-Printing, Doodle3d, Kickstarter von Sebastian Trella. Permanenter Link zum Eintrag.